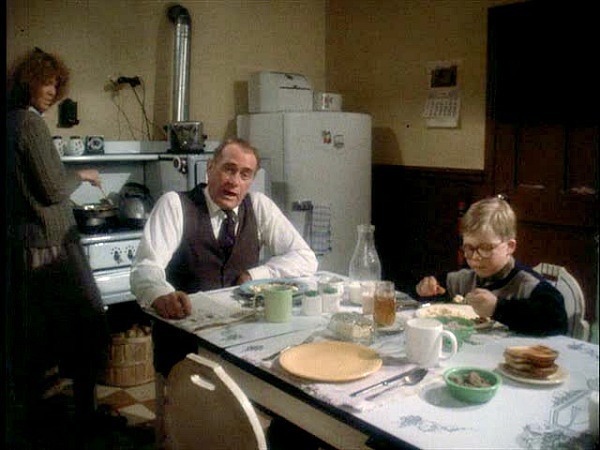 One of my family’s favorite holiday movies is A Christmas Story. 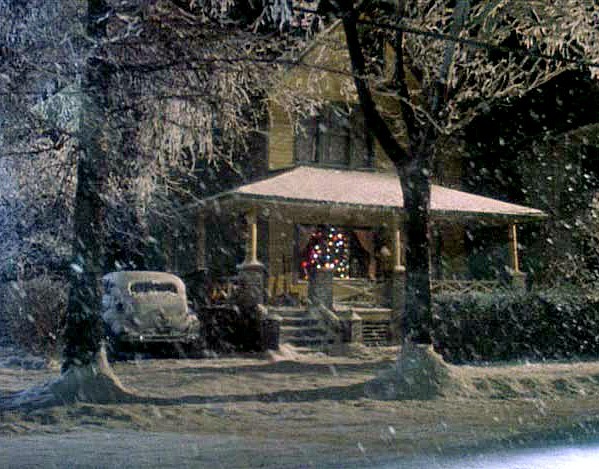 Let’s take a look at the house they used in the movie, and how they recreated the look and feel of a Midwestern home from the 1940s. 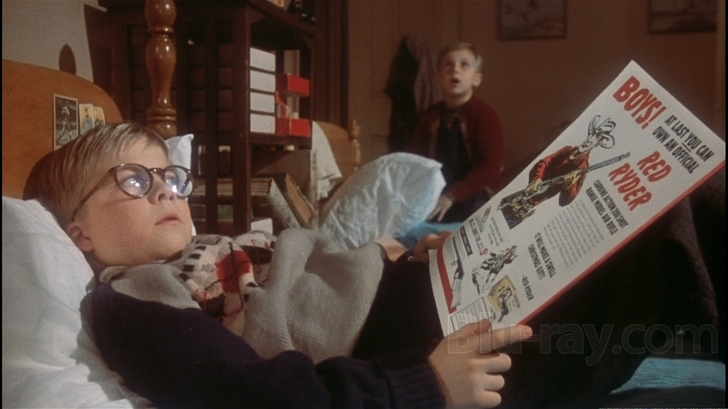 The movie was based on Jean Shepherd’s book In God We Trust, All Others Pay Cash. The stories took place in the fictional town of Hohman, a stand-in for Hammond, Indiana, where Shepherd grew up. The movie premiered in 1983 to mixed reviews and quickly disappeared from theaters. 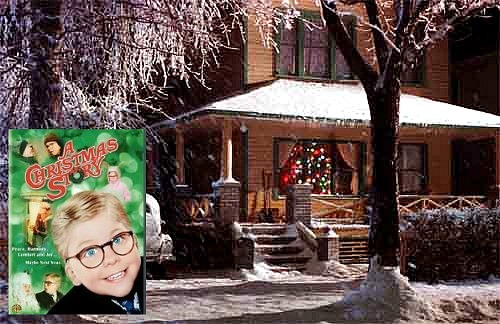 Now, of course, it’s considered a holiday classic, and you can catch it playing on television throughout the month of December. 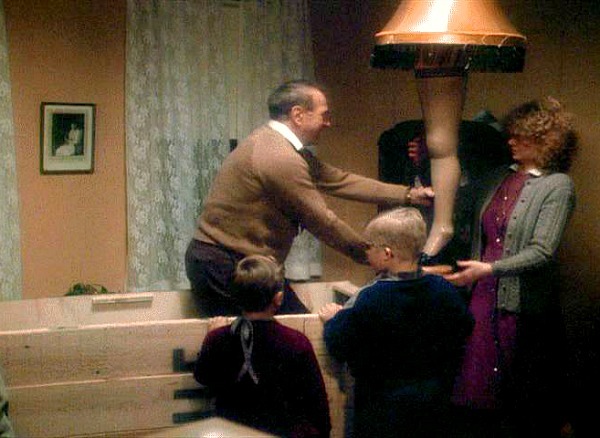 Dad won a “Major Award:” A leg lamp. Dad and the boys are excited. Mom isn’t so sure. The neighbor who comes up and asks what it is was Director Bob Clark in a cameo. 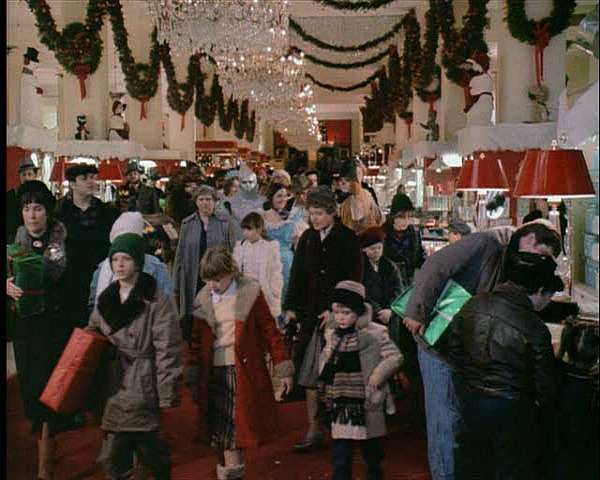 The family goes to Higbee’s Department Store to see Santa. 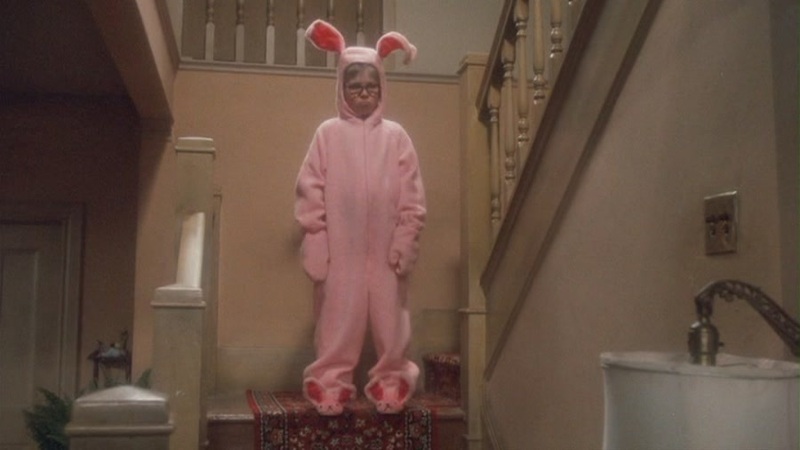 All Ralphie wants is a Red Ryder Carbine Action 200-Shot, Range Model Air Rifle. 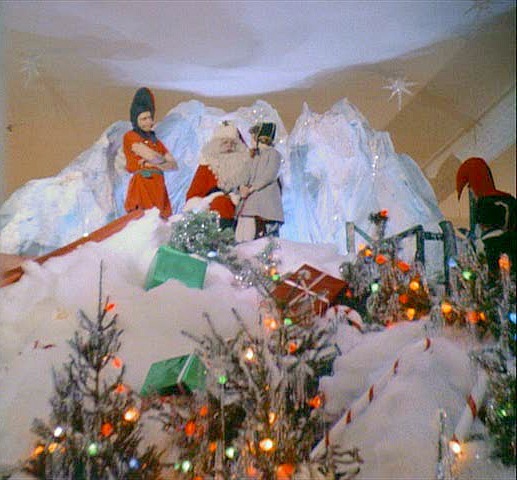 But Santa is sort of terrifying, as are the elves, and Ralphie freezes up when the time comes to ask for it. 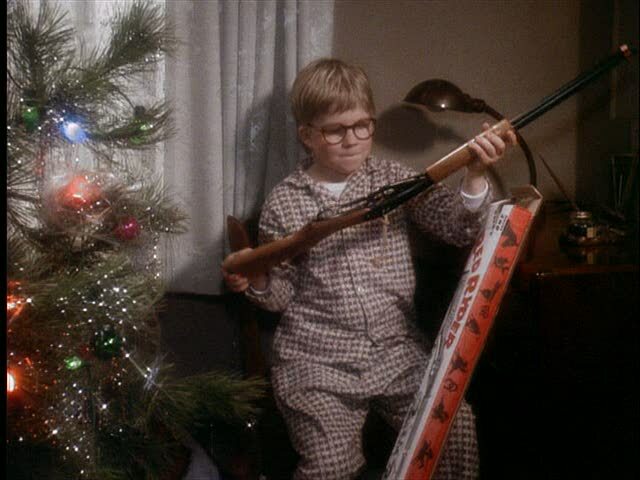 Just when he had given up hope, Ralphie gets the Red Ryder air rifle he was hoping for! 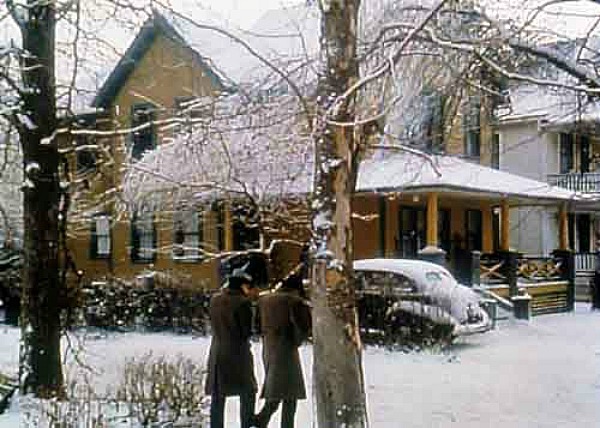 The house that was used for the exterior shots in the movie is in Cleveland, Ohio. In 2006, the house museum opened as a tourist attraction. 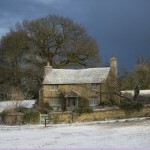 He even purchased the house next door and converted it to a gift shop and museum dedicated to the film. My son first watched this movie when he was about 5 years old. We watched at least once during the holiday and then we watch every Christmas Eve. We love this movie. Hey Julia! We’ll be keeping your dad in our prayers! This house is only 1 1/2 hours away from us….haven’t gone yet. 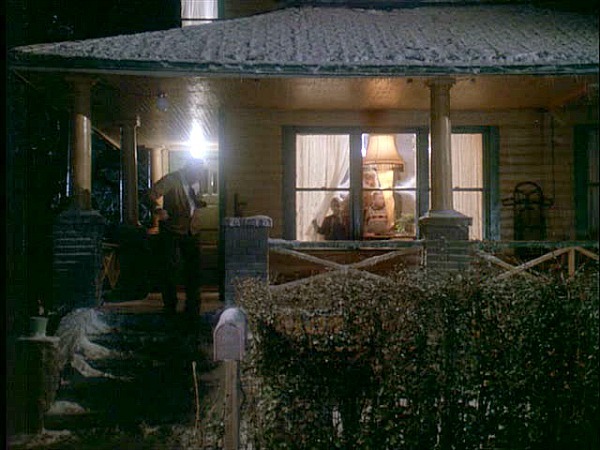 We have those leg lamps in two homes on our neighborhood….one is us ALL YEAR LONG! Yulk! Anyway, hope all is going well! Okay, who doesn’t love this movie? And who doesn’t love that for 24 hours on December 24th you can turn on TBS and find yourself in the middle of it? Julia, where in Northern Indiana? I myself spent 4 fantastic years in South Bend. If my father was still with us, I’d buy that lamp in a heart beat. My dad loved that movie. So much so, that after he saw it, the next day he took me and my boyfriend (now my husband) to see it. My husband and I have great memories of my dad laughing so hard watching the movie in the theaters. 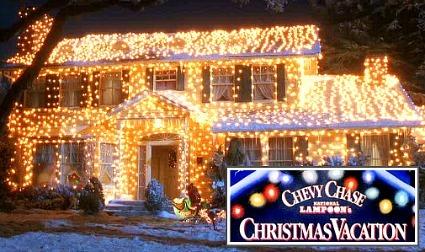 It’s a must see for our family during the holiday season. Movie night is coming up! YEAH! Good news Julia! Hope your little one feels better soon too! Whoah! Glad your Dad is doing well. Hope Lily feels better soon! My daughter is suffering from some chest wall pain right now – not fun. I love this movie, and really enjoyed this post. Thanks for stopping by my blog today. I have an even deeper appreciation for your amazing blog. My photos don’t look anything like the great pics you post that show such great detail of the homes you’re writing about. Grest news about your Dad, Julia! Here’s hoping Lily gets better soon. I thought I was this movies’s number one fan! 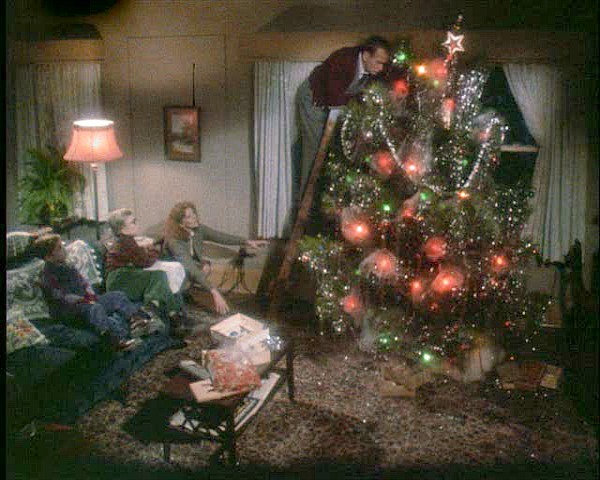 I dedicate a tree in my home each Christmas to it, and have watched it umpteenth times. Thanks for giving it the attention it deserves!! Has anyone else spotted “Ralphie” in the movie “Four Christmases?” My 22 year-old daughter could pick him out of a crowd at 100 paces. Me? I still can’t believe it’s really him … all grown up. 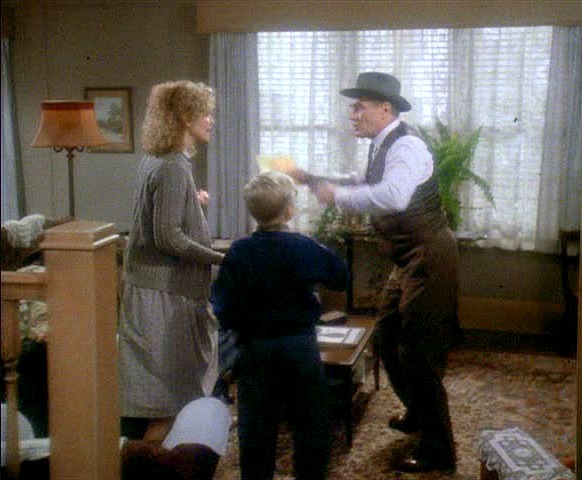 Greetings – over from Linda at the Lime… You know they’re auctioning an overnight on eBay at this house. You get to sleep over on Christmas Eve and have breakfast or something. And I think Christmas dinner is Chinese. Seriously. I love this movie. One case where the movie outdid the book! Hey! That’s my kitchen sink in there! Julia, glad to hear your Dad is fine and hope little Lily is recovering nicely, too. I’m so glad about your dad. I’m so sorry to hear about your dad having surgery. Prayers for him and your family. 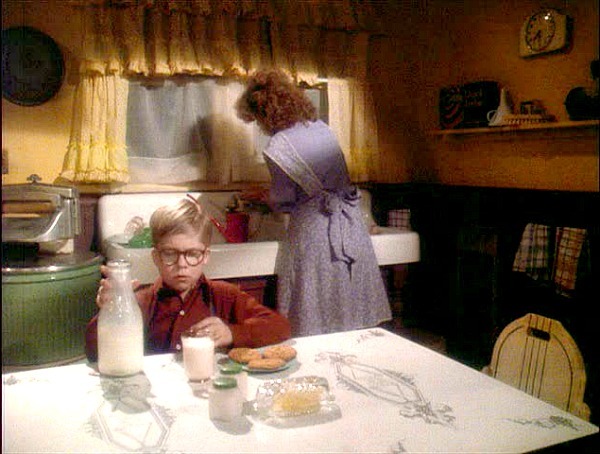 I was secretly hoping you wouldn’t do Ralphie’s house…’cause it was my back up plan for your bloggeriffic house tour next week. 🙂 But I’m glad you did…you do a way better tour than I would have, and I just LOVE this movie. Can you believe it’s 25 years old?? Crazy how time flies. I love this movie, too! 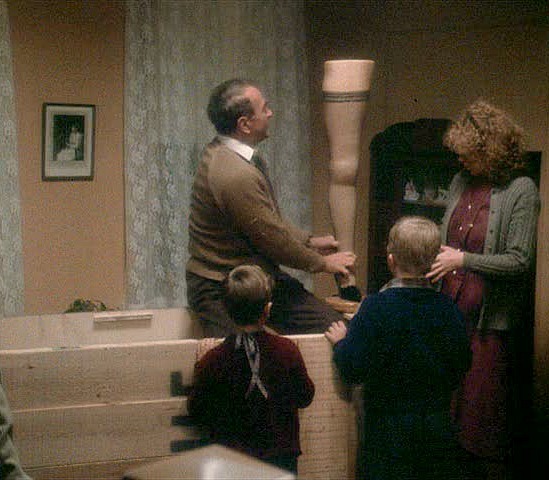 I remember a couple of years ago, Rite Aid had those leg lamps and I thought about getting one, lol. They were much smaller though and hey, if I’m going to get one, it might as well be the big one, right? I hope all went well for your dad! Hey…. 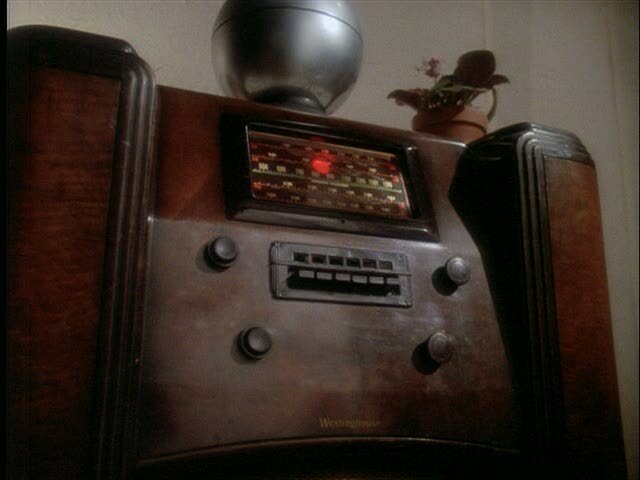 wheres the stove i think i speak for all of us and ask to see the stove.. i cant find any pictures of the stove. 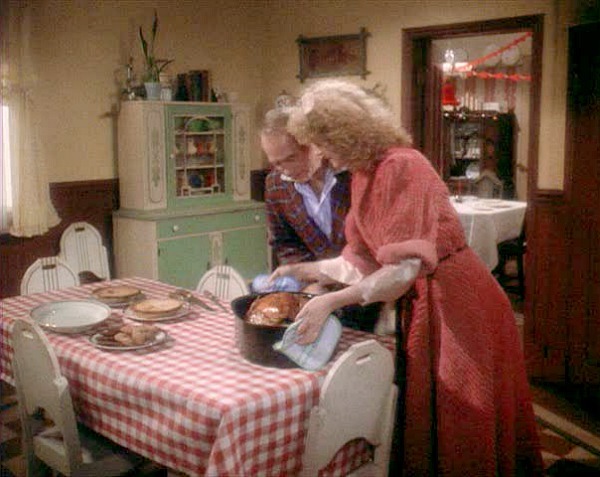 my family bought a stove and the people that sold it to us said its the stove from the christmas story. i want to find out if its true. Isn’t that the stove in the 3rd still? I grew up in Hammond. 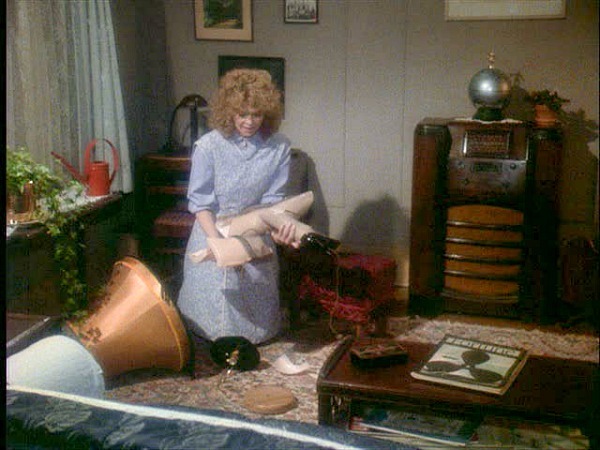 THIS house is wonderful – the real house in Hammond is dismal & uncared for. Not nearly as charming as the one in the movie. As a former Hammond citizen, I keep thinking they will do something one day with the potential asset. In the middle of the last century, I attended a pre-K summer school program in the last-standing building left from the original Harding Elementary School ‘Ralphie’ went to. It was an old gym-type building with numerous giant, paned windows that could still be pushed open with one of those long sticks with the strange hook on the end for the purpose. The morning dew was still on, the birds were singing thru the open windows – the whole room was a great golden oak sunbean. It was a very early summer morning & I can hear “John Jacob Jingleheimer Smith (da da da da da da da)” still echoing as we sang with the piano banging about in that big hall. That’s the very last of Jean Shepherd’s world I knew. They have a modern structure named after him as a community center, but otherwise that’s all. Perhaps someone will wise up one day in Hammond. The plot of land the school stood on is still empty – ideas anyone? No? Ho Hum. Local government. Hello. This house still sits there in exactly the same shape. I found a page on facebook of people who have actually visited it. It is a museum now. It’s cool you should look it up!